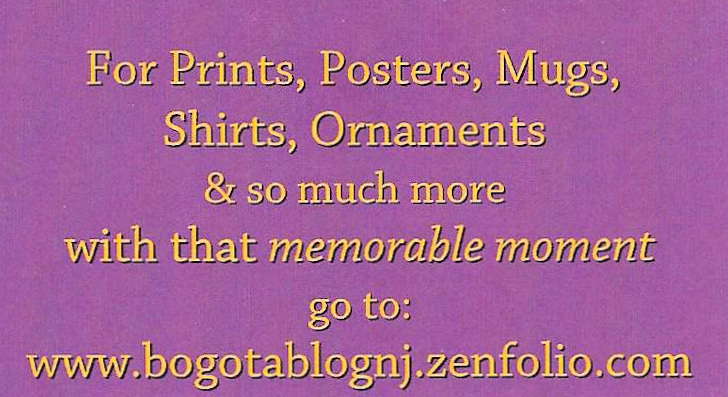 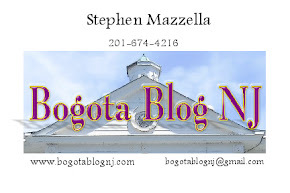 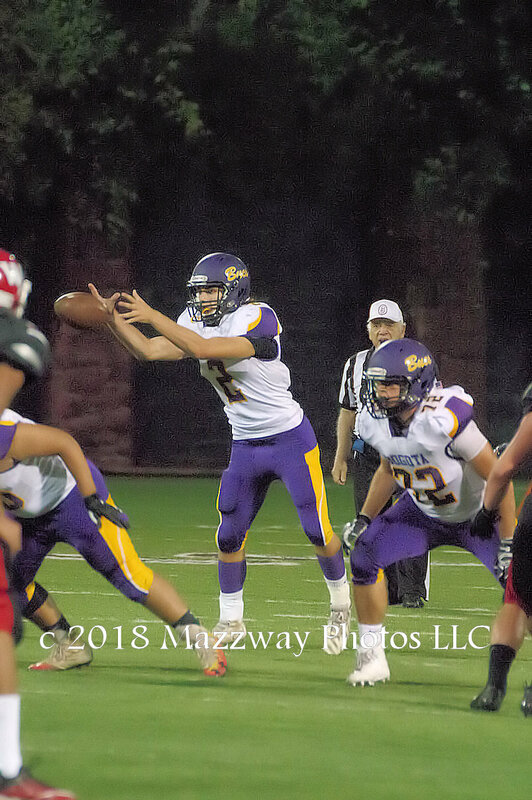 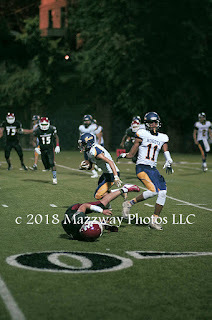 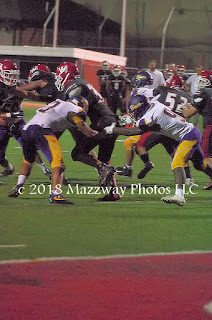 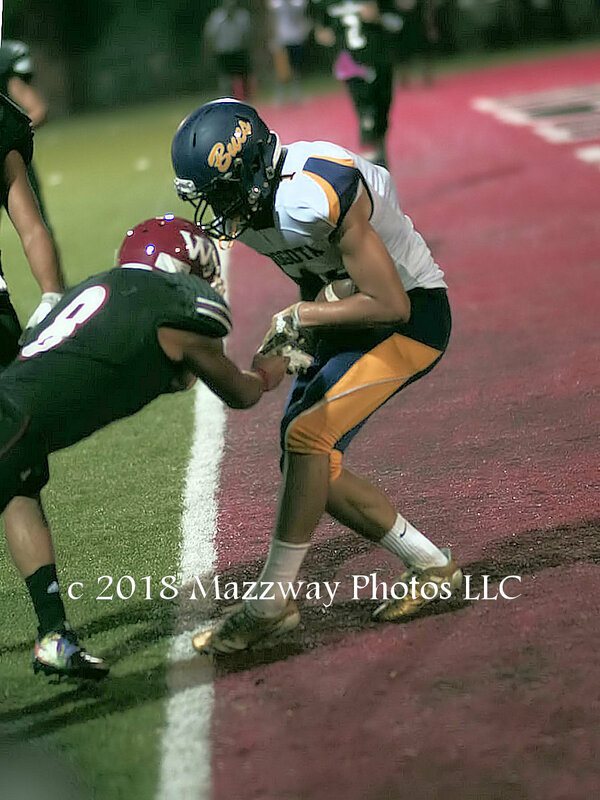 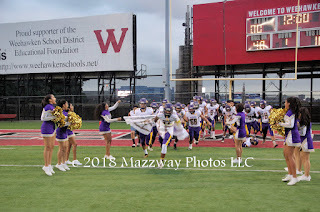 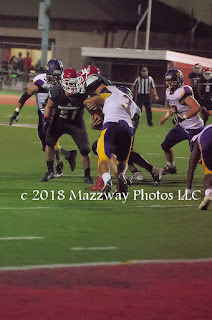 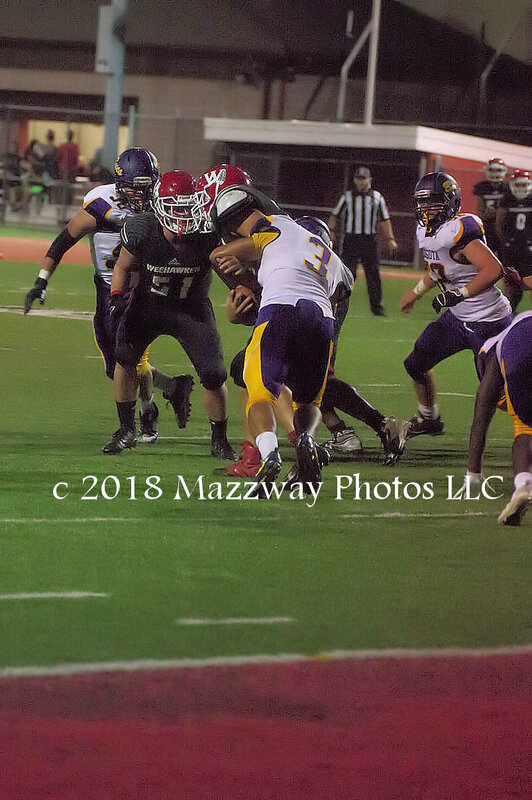 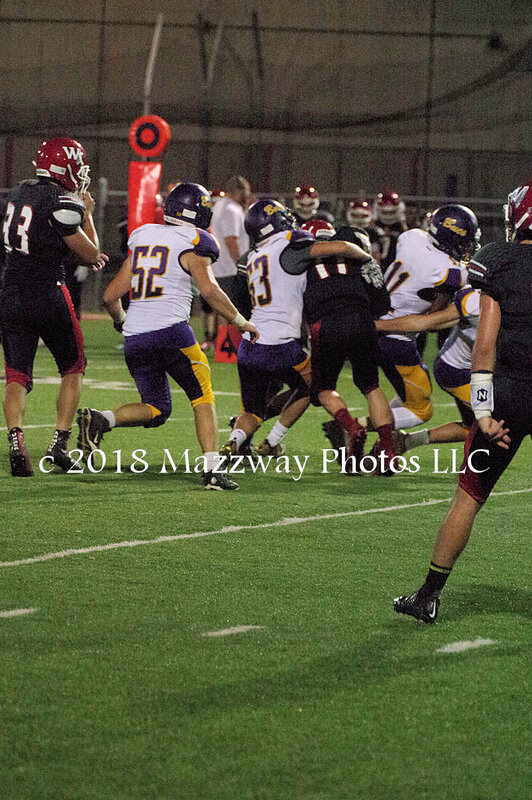 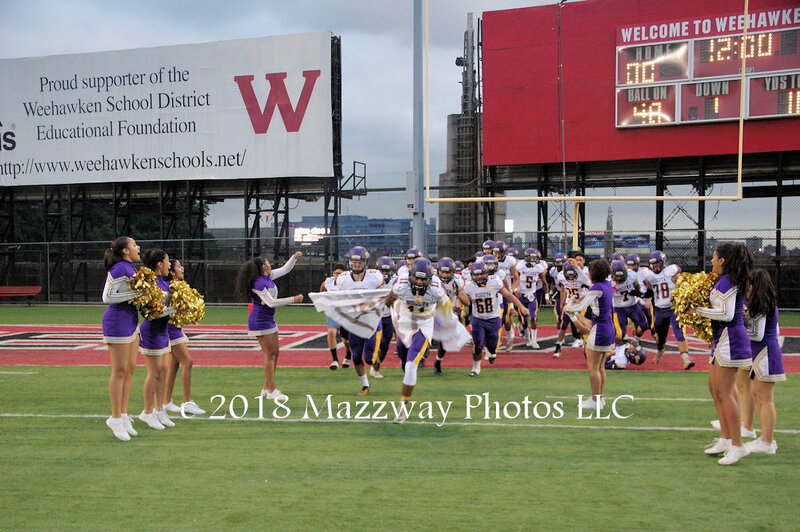 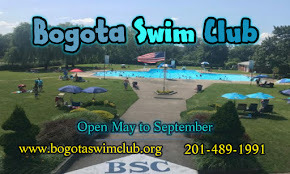 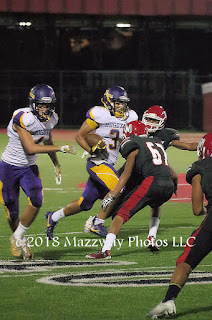 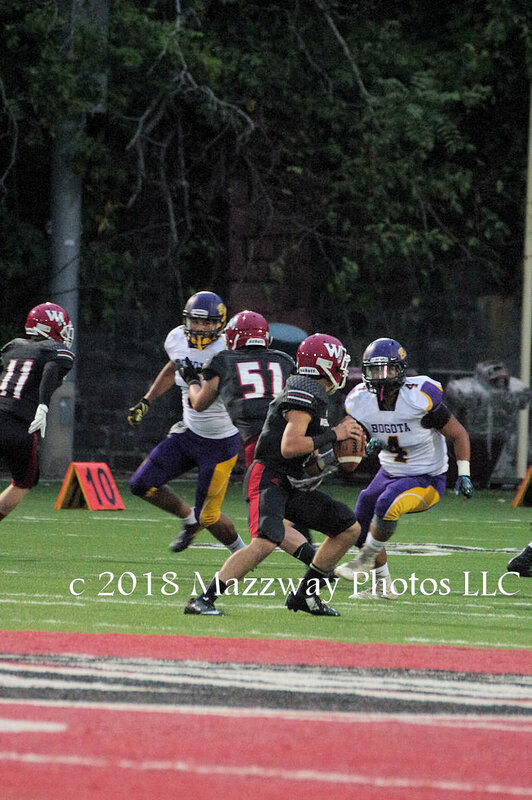 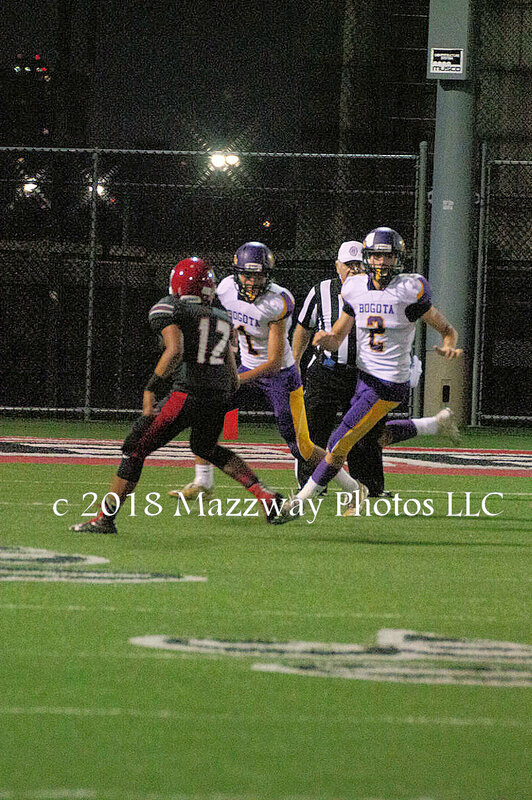 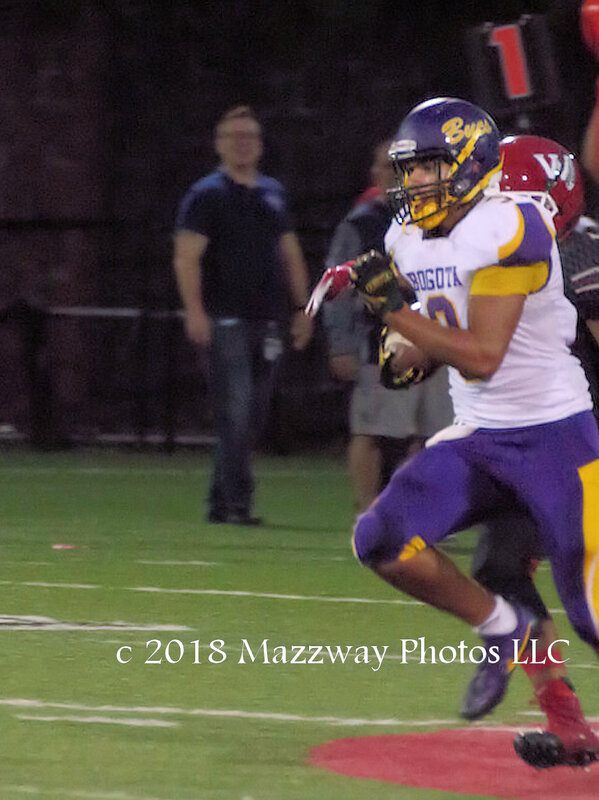 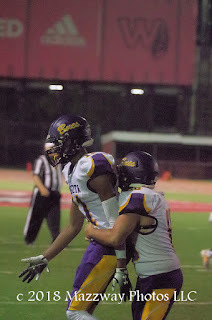 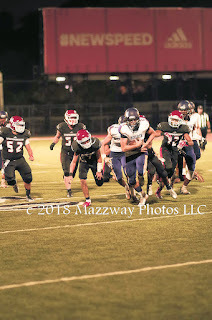 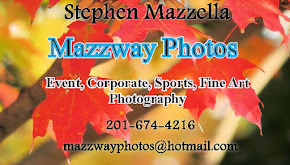 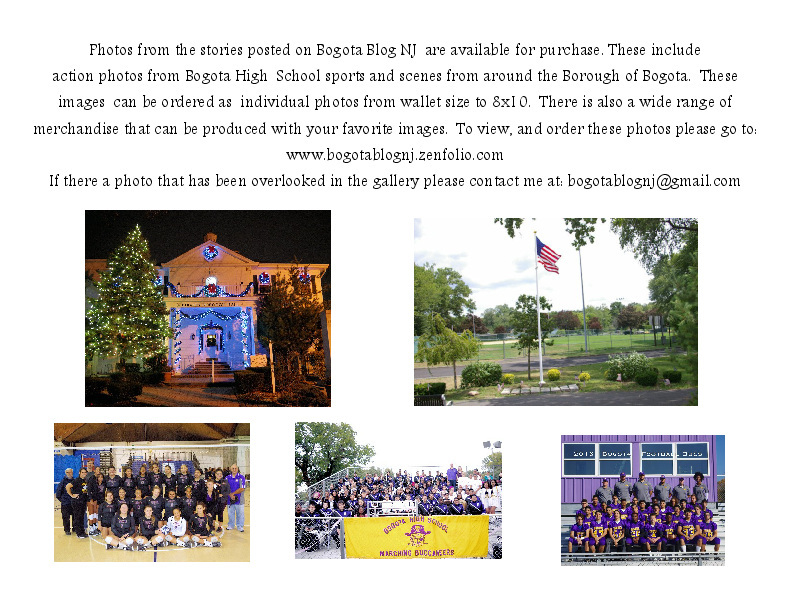 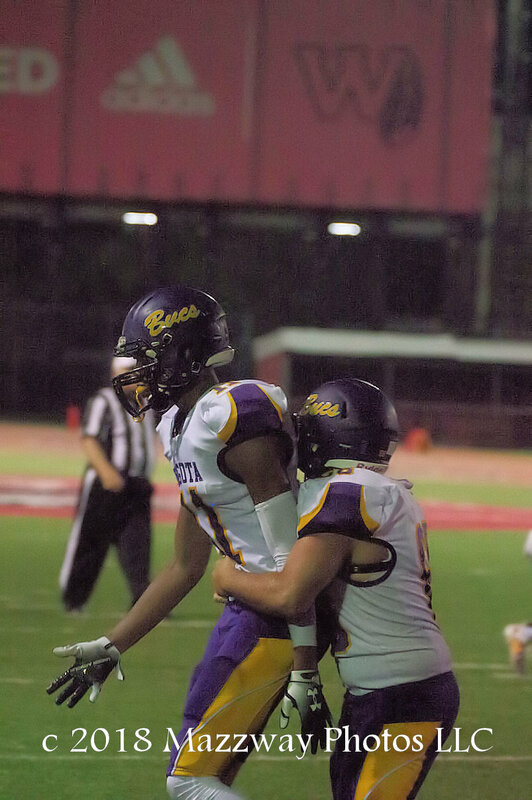 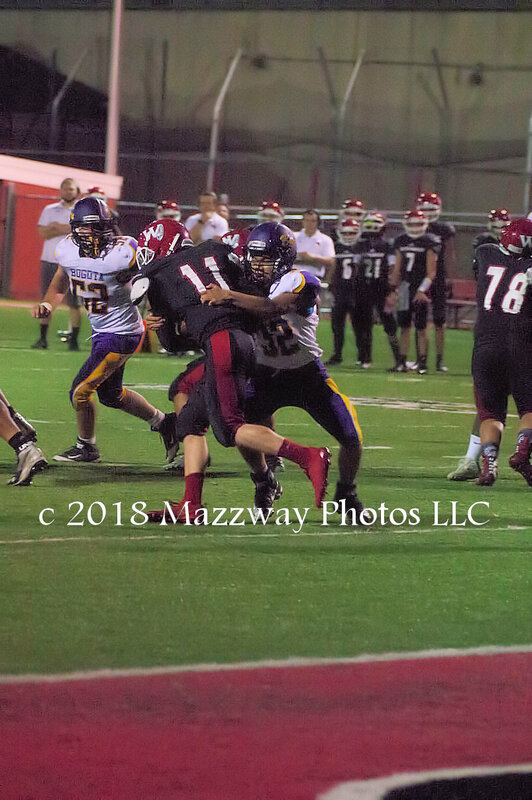 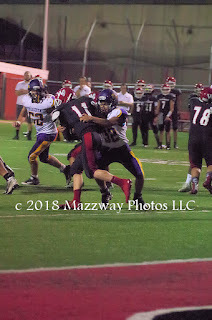 On Friday -14-September the Bogota Football Bucs traveled to Weehawken to play the Indians. 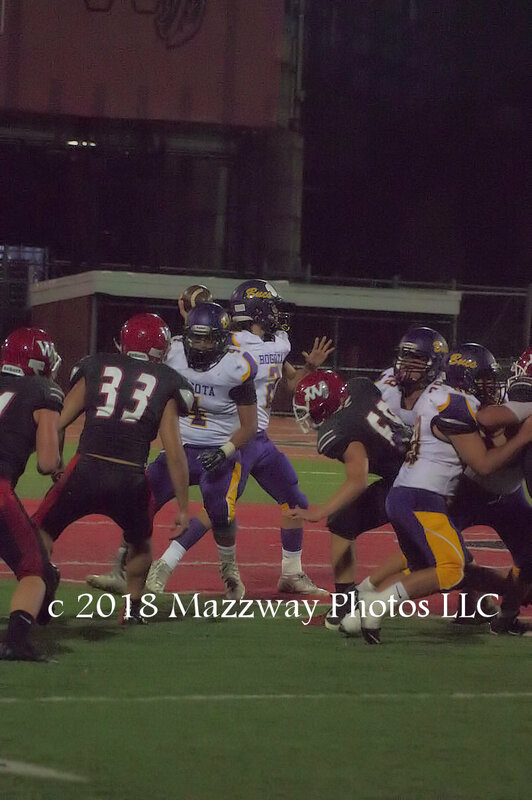 Weehawken would take a 16-0 lead by early in the second quater. 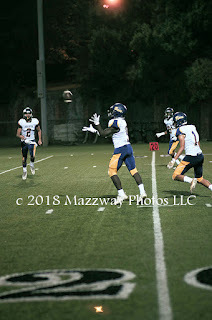 Then Andrew Miller would connect with Frank Petaccia on 43 yard pass. 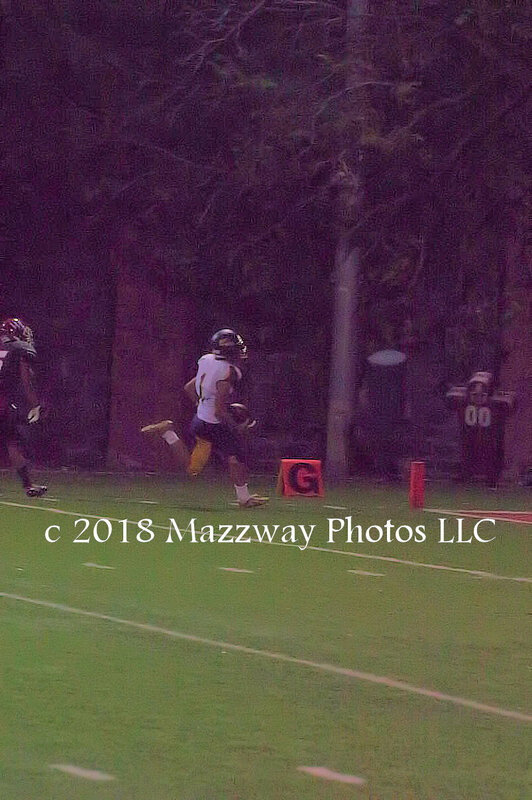 Which had Mr. Petaccia make his was down the left side line and in to end zone for Bogota's first major score of the evening. 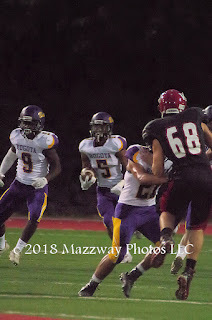 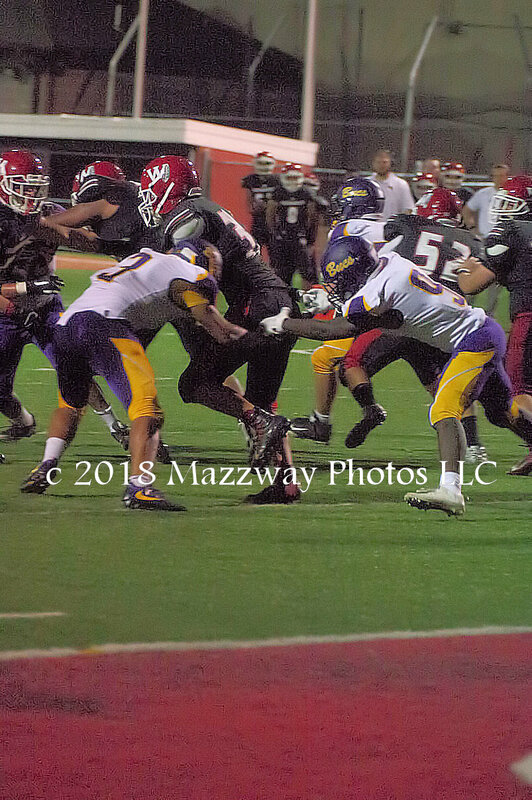 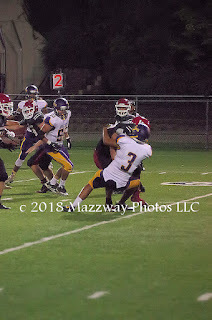 Bogota would complete the two point conversion, with a 2 yard run by Ashanti Caviness to cut the Indian's lead in half. 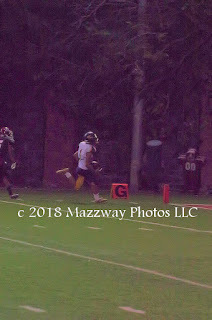 Them Mr. Miller would throw a 19 yard pass to Ashanti Caviness for another touchdown. 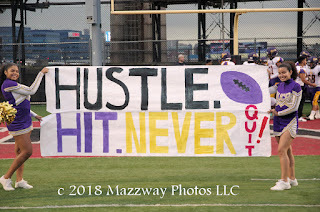 The Bucs attempt to tie the game was stopped short and Weehawken would go into the locker room with a 16-14 advantage. In the Third Quarter the two teams trade scores with Frank Petaccia catching a 6 yard pass form Andrew Miller. 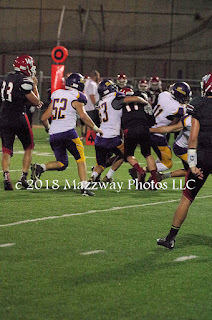 Mr. Petaccia scored by squeezing across the goal line for his second touchdown of the game. 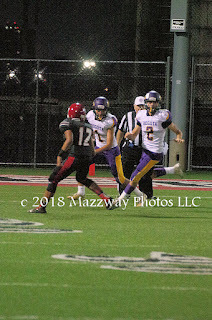 The Extra point attempt was block at the line and Indians would lead by 4 Points going into the final 10 minutes. 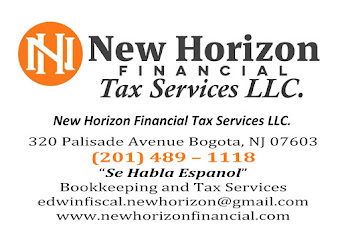 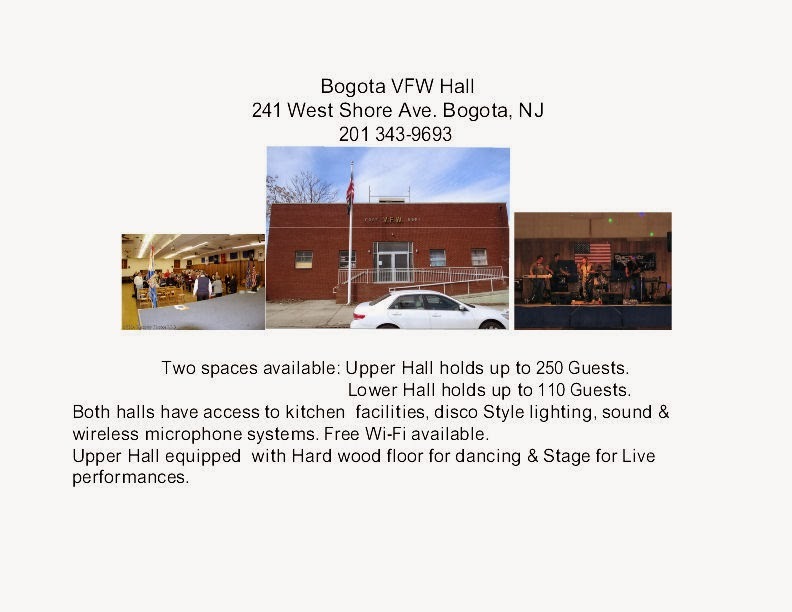 Weehawken would score twice in the fourth Quarter and Bogota would add a one more score with a 28 yard pass from Andrew Miller to Ashanti Caviness. George Coronel would run in the two point conversion. 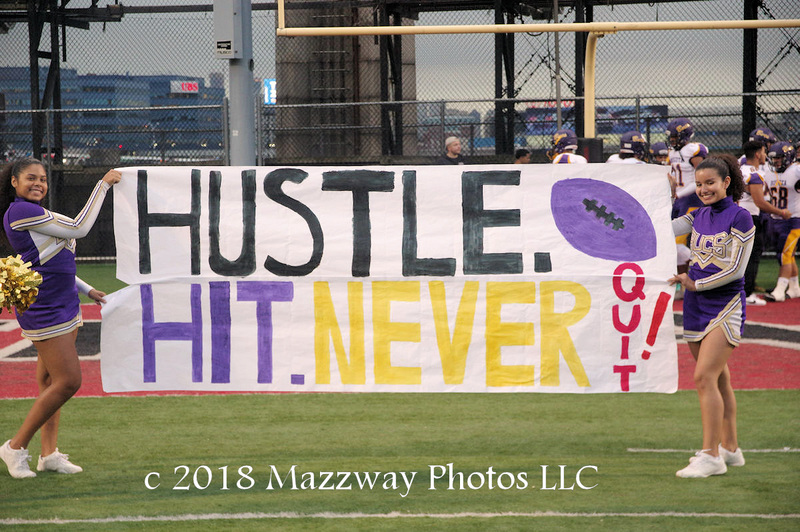 This would make the final score Weehawken- 38 ; Bogota-28. 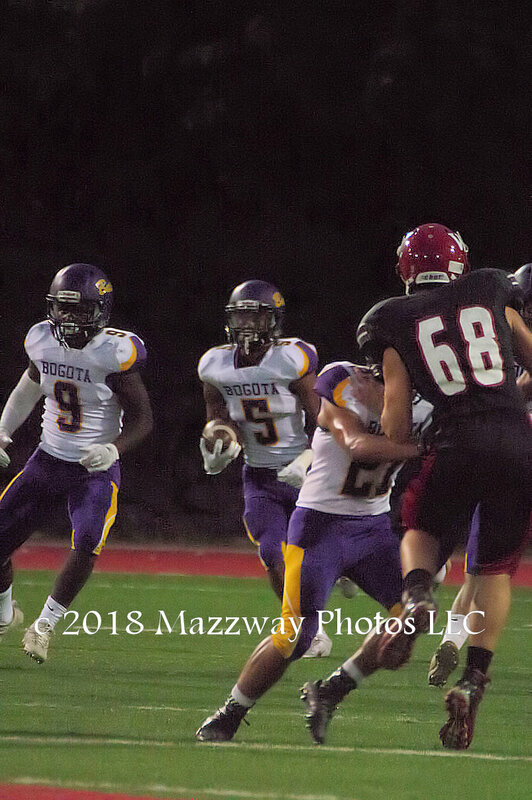 Bogota is now 0-3 and the next play on Saturday-22-September against Wood-Ridge. This will be a home game at Feigel Field with a kick-off scheduled for 1:00p.